To commemorate my visit to Kyoto in Autumn I got this Hello Kitty in a season Kimono. I decided to get the key-chain sized one as she could then come to work to decorate my desk. 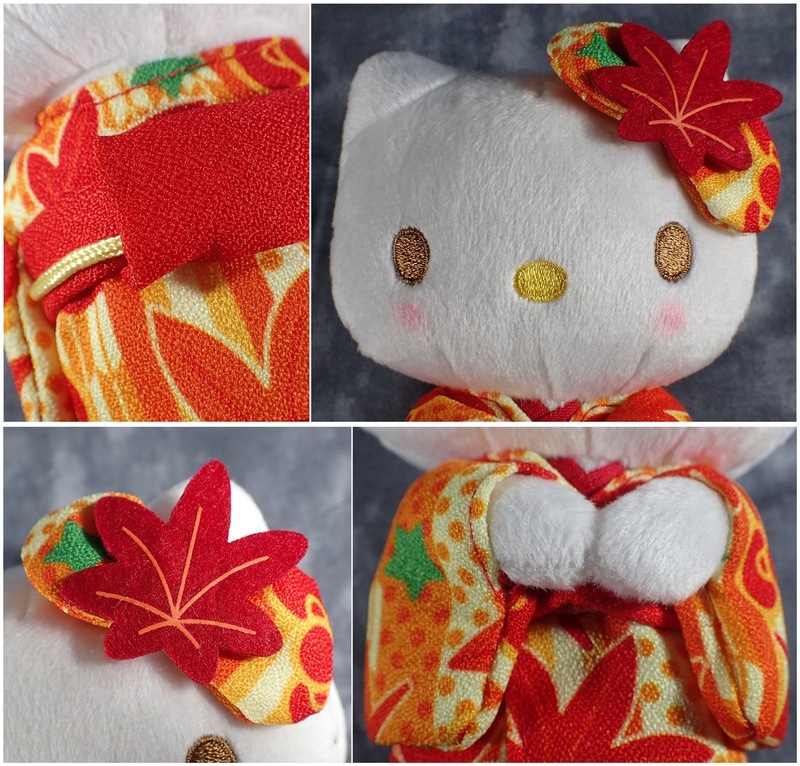 Her Kimono is made of chirimen fabric with a momiji design. I particularly love the blush on her cheeks. Like always the quality is great with good stitching on her face and her outfit is all secure. 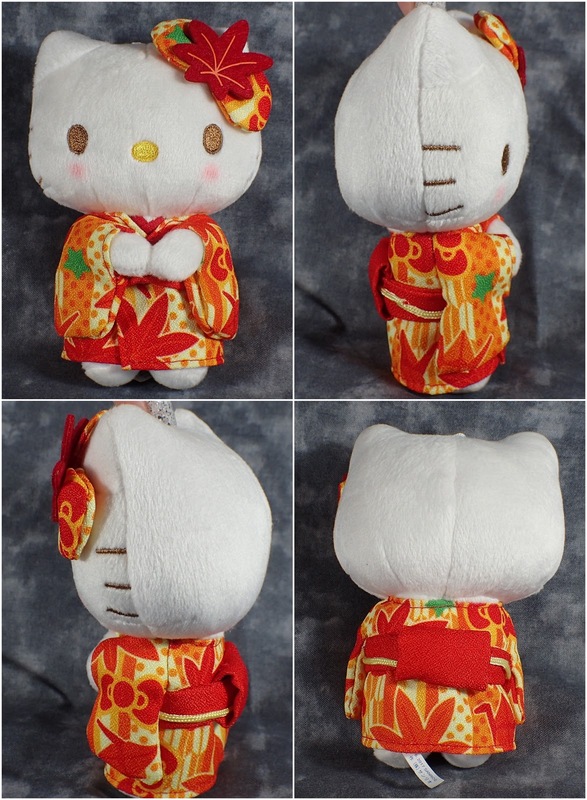 What better souvenir to take home than a traditional dressed Hello Kitty.